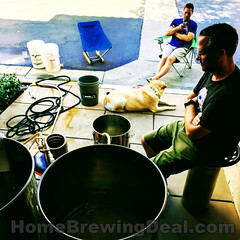 Coupon Description: HomebrewSupply.com currently has a promotion going on where you can get a homebrewing grain mill with hopper for just $79. 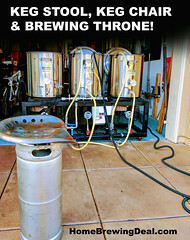 This is one of the best homebrewing deals going and plus they have other promotions that can help you save even more money on your homebrew order! So are you ready to buy grain in bulk? 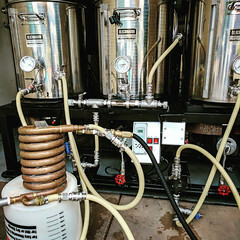 If so you will need your own mill, and this is a great choice for a homebrewing mill. This mill features an adjustable 2 roller mill with a 7 lb hopper and wooden base. All you have to do to adjust the roller gap is loosen a couple screws, make adjustments to the gap, and then tighten the screws back into place. Best price I have seen on a mill! 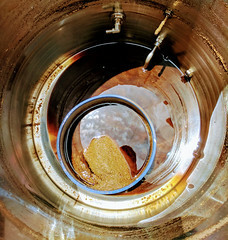 Great price for a homebrewing grain mill! That is a real bargain. Wish I would have come across this deal before I had bought mine.